We have been discussing about some hypnotic experiments which you can use to increase you will power and become an expert in hypnotism. 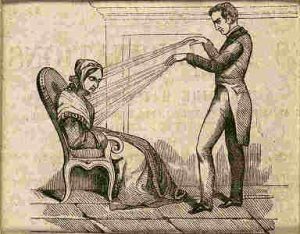 We are publishing our next series of experiments in this article where we will discuss more about how the spell of hypnosis can be applied on a person. Once you know how to hypnotize and you want to use your newly acquired knowledge on someone then this article may give you some ideas of the various tricks that can be performed on a person who is under hypnosis. We must clearly state that this knowledge should be used only for constructive purposes and to help others. Never use this knowledge to harm, trick, fool or irritate anyone or for any ulterior motives. Please remember that the law of karma would come heavily upon you if you do any such act and you could end up harming yourself in return, so only use this for good. Suppose you have an audience who have gathered to see you perform hypnosis. You can try this very simple yet effective trick that can help the audience have more faith in hypnosis. The problem with hypnosis is that most of the people do not know what it is all about. They are scared of it and as a result they do not want to get into it. This is not right and we must try to develop a show in such a way that even people who have no faith in hypnosis can start to trust it. Take a coin and put on the right palm of the person whom you have called to the stage. Tell this person to stand in front of you. Before you does this just ensure that the audience has seen the coin and they are convinced that the coin is a genuine one? The audience must know that there is nothing special about the coin. Look into the eye of the person and now tell the person that the coin has some special qualities. When it comes in contact with human skin it heats up and becomes too hot. Tell the person that he is feeling the heat and it is almost burning his hand. The coin has become so hot that the pain is now intolerable. The person whom you have selected will feel the pain and as a normal tendency will try to throw the coin away. The audience can see that the coin is actually not on fire and this will be very fascinating experience for the audience that they will remember. A very important tip here is that eye is the window to the soul. When you look into the eyes of a person you can feel pulled. It is a magnetic pull that will take you towards the other person. Some people tend to have a more magnetic personality that the others. As a person who is trying to practice hypnosis you must not look into the eye of the other person instead you must tell the person on whom you are doing hypnosis to look into your eyes. If you look into the eye then there is a chance that you yourself will be hypnotised and not the other person and it can be quite an awkward situation. So tell the person you are doing hypnosis on to look into your eyes. When you know that the person is actually looking into your eyes tell this person that he or she is feeling weak and wants to sit down. This will make the person sit. As the person tries to sit he may fall as he is looking at you and trying to sit. Do rush and go to hold the person. This will be a very interesting experiment to see for the audience. They will be fascinated to see how a person is so deep under the influence of hypnosis that he is not even able to sit properly. It is important that you chose a good subject. We have mentioned in our earlier articles that hypnosis might not work in the similar manner on everyone. If your subject is not good the experiment will fail for sure and the audience will start to lose interest in the topic. We have also explained in the previous articles how you can choose a good subject by doing a few experiments. Once you are convinced that you have found a good subject call him to the stage instruct him that he is your slave and will do exactly what you say. Tell him to start barking like a dog as soon as you tap your fingers. The subject will follow what you have said and you will indeed back like a dog. Then you tell the person that he is out of the hypnotic spell and he will behave in a normal way now. Do not let the person leave the stage and keep talking to him about different things also get the audience involved. Let a good 5 minutes pass and then again you tap your fingers. As soon as you tap your fingers you will notice that this person starts to bark like a dog. The audience at this point will not be able to control their laughter and they will be rolling on the floor. Every time you tap the fingers the person will start to bark. The person is basically in a hypnotic sleep. He seems normal but he is still doing what was told to him during the session of hypnosis. Now you can tell the person that he is finally out of the hypnotic spell and he can go back into the audience. Before sending him back tap the fingers and you will see that the person is not barking. When you are hypnotising a large crowd ensure that you are effective and convincing. Tell the audience that they are under your spell. Go back stage and tell the audience to fall sleep and tell them that they will wake up from the sleep only when you clap thrice. Now come out from behind the stage. You will notice that many people are still sleeping. You will also find a number of people in the audience who are awake. These people can never be good subjects as you can see for yourself that they did not come under the spell of hypnosis you will also notice that these people sitting in the audience are confused to see how so many people actually slept off. Now clap three times and get these people out of sleep. In similar manner you can take a subject call him or her to the stage and put them to sleep. Now call the others from the audience and tell them to shout loud and do all the sounds they can to wake this person who is still sleeping. The audience will try to do whatever they can to wake this person up. However, to their amazement they will see that the person is in deep sleep. It is almost impossible to be sleeping in so much sound even if you are a stone deaf person. This experiment is normally done regularly in hypnosis. It can really convince the audience that hypnosis is actually possible and it can be easily performed by those who know how to hypnotise. Ensure that you make people aware of hypnosis and how it can be performed. Only when you clap thrice the person will wake up from this sleep else he or she will continue to sleep in spite of all the sounds. This is the quality of hypnosis that can ensure the usage of this skill in many other fields. It can be used to cure many mental and physical problems effectively.